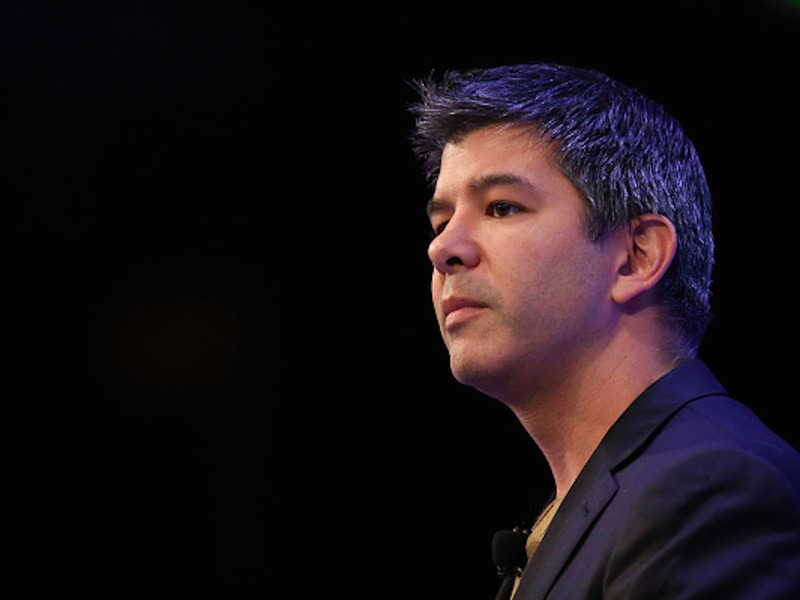 On Monday Uber fled China. It surrendered a massive market and sold its $8 billion business to Liu’s Didi less than a week after Chinese regulators legalised ride sharing in any capacity. One would think that after three years of slugging it out for the hearts of Chinese consumers, that regulatory loosening would be the time to ramp up efforts, regardless of the fact that Didi had 80% of the country’s market share. Of course, he explained this while he was telling his investors about a new investment in Didi, not Uber. And it only takes a basic understanding of what’s going on in China right now to understand his choice. From the moment he took to the international stage Xi Jinping was a mystery. However, for the most part, we in the West thought he would be much like his predecessors — open to foreign business and ready to solidify China’s central place in the global order of capitalism. Xi suggested as much in a speech in Washington D.C. after taking power in 2013. You see, we had reason to believe that China’s openness would continue into the next administration. The US-China Business Council was warning companies that the Chinese government was favouring domestic companies as early as 2011. Under Xi this only got worse. The survey found that respondents were worried about the Chinese government restricting key data gathering efforts for foreign companies, a lack of information about the rules of engagement or regulatory procedures in the event of disputes, and an overly broad definition of national security that applied to activities American businesspeople never dreamed of. CEIC and the National Bureau of Statistics; Charlene Chu, Autonomous ResearchThis is the industrial sector already in hard landing mode, a chart Autonomous Research’s brilliant China analyst Charlene Chu sent to Business Insider in December. Numerous service industries in China face an uneven playing field due to government support for state-owned enterprises and designated oligopolies within their sectors. Such government preferences, and the benefits the state-owned enterprises receive, restrict both foreign and domestic companies’ ability to operate in the market,” it said. This might not just be a Xi thing either. The Chinese economy is going through the difficult transition of moving from an economy based on industrial manufacturing and foreign investment to one based on the services sector and domestic consumption. One cannot be open and protectionist at the same time, but now that industrial manufacturing is already in “hard landing” mode, the government has to do everything it can to boost the services sector. The economy is slowing, and the much-vaunted Chinese Dream — the Dream of economic progress that has consistently trumped the nightmare of political repression — is at risk. And that’s likely because Didi understood the reality I just outlined above. It is very telling that Uber did not. “We were a young American business entering a country where most U.S. internet companies had failed to crack the code,” Uber CEO Travis Kalanick said on Monday. Many American companies are finding this code confusing, simple though it may be. Meanwhile, Uber has made a habit of flaunting rules and norms. It’s run into multiple labour lawsuits here in America for misclassifying its drivers as independent contractors rather than employees. It was chased out of Hungary. And then there’s this very telling anecdote from former Fortress Investments president Michael Novogratz who met with the former CFO of Uber, Brent Callinicos. Callinicos explained to Novogratz that Uber drivers return between 20% and 25% of the fare they collect, but that in the future, Uber could easily raise that rate to between 25% and 30%. This would drastically improve Uber’s profit margin. Novogratz responded quizzically. In China, it seems, you can’t. When the Chinese government legalised ride sharing, it included provisions making it illegal to engage in a practice Uber has become famous for — selling rides below cost to push out competitors. It played this game with Didi, and Liu made fun of Uber for it. All of this said, it may very well be that Uber dodged a bullet in China. The US internet companies that are getting left behind as Chinese competitors take share may not be jealous for long. The government has floated the idea of taking a 1% stake in giants like Tencent and Baidu in order to control what’s on the web. And of course there’s a darker way to look at that, and Wall Street’s all over it. As the Chinese economy slows and its debt to GDP ratio (currently sitting around 285%) grows, the government is going to need places to find cash to keep money flowing through already quasi-state-owned banks. It already announced that it will relax regulation in order to allow debt-to-equity swaps between banks and indebted companies. But where does it stop? At a certain point the entire economy starts to congeal, and then you have a “Japanification” scenario. All of the sudden the corporate sector is the government and the government is the corporate sector, and any cash lying around has to do its part to keep things going. Uber, you didn’t want to be involved in that mess anyway.